This years GoBike AGM and Public Meeting extravaganza will be on Saturday 17th November from 15:15-17:30. Save the date folks, for we have a treat in store for you. Fresh from campaigning for their wonderfully successful Mini-Holland, Waltham Forest Cycle Campaign’s Paul Gasson has kindly agreed to come up from London to tell us all about how they did it. He will be joined by the ever energetic Sally Hinchcliffe from not only Cycling Dumfries, but also Pedal on Parliament, the Women’s Cycle Forum and Walk Cycle Vote to name but a few of her many campaigns. They will both present on their own campaigning experiences, and then form a paired-panel led Q&A to compare their approaches, ideas, successes and if they had any, failures too. 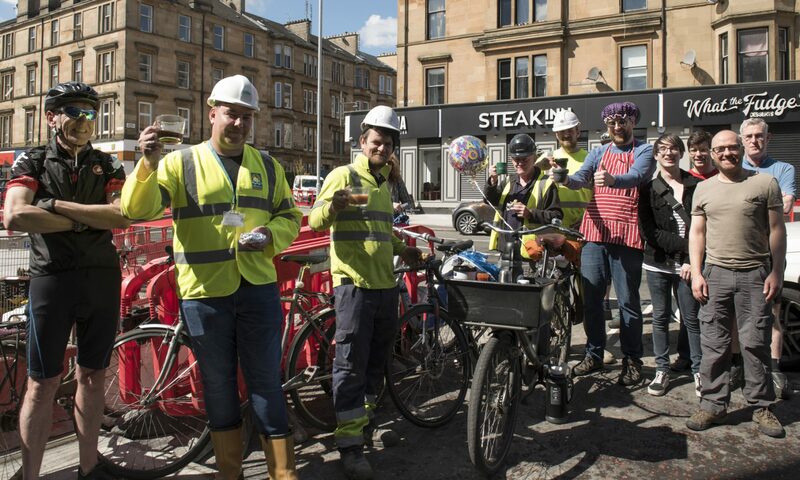 And that’s all after our annual AGM where you can hear all about what GoBike has been up to over the last year, and revel in our all new feature, the Members Awards. Please spread the word that this event is not just for GoBike members. Bring a friend with you if you can, and let people know that all are welcome.